Try some salad greens. He eats those so cutely. 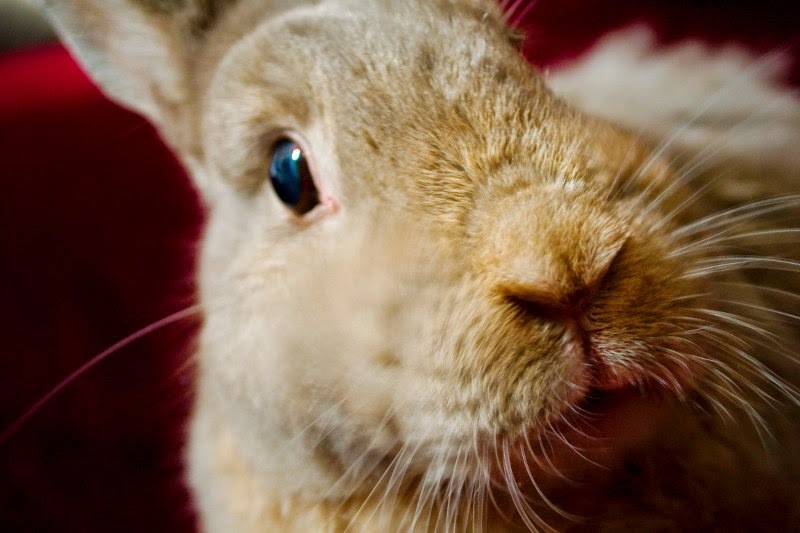 What a beautiful bunn face. It's like he has a mustache and whiskers. And they are so symmetrical! Definitely calls for "something yameh." He does have a very handsome mouf and bunneh-nosie! Now scuttle, hoomin, and bring treats! Make it snappeh! carrot flavored lipgloss: apply. smooch bunneh. repeat. Brought to you by Bunny Belle, where testing on humans is policy.